This entry was posted in Interviews, Radio on July 18, 2015 by Kat Kinsman. This entry was posted in Interviews, TV on July 8, 2015 by Kat Kinsman. Well this is neato! 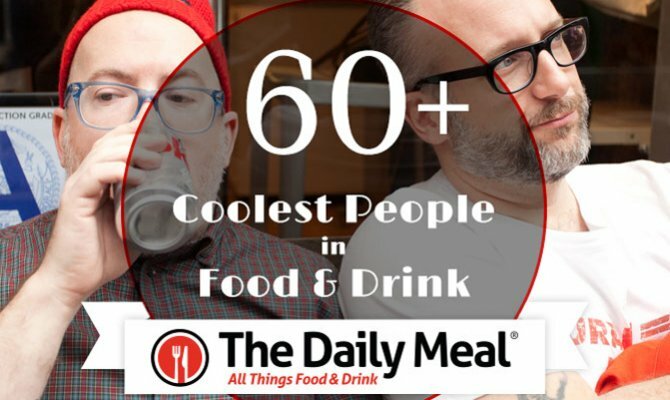 I made The Daily Meal’s list of The 60 (Plus) Coolest People in Food and Drink alongside folks I greatly admire, like Andrew Zimmern, Amanda Cohen, Dave Wondrich, Randall Grahm, John T. Edge and others. Take that, high school tormentors! This entry was posted in Publicity on July 7, 2015 by Kat Kinsman. Sometimes I talk about personal branding.